[Eclipse Exchange] - [16/11] - Ideas! Today’s update will be about ideas. One of the big goals of the exchange is to help share ideas. This can be anything: ideas about game concepts, ideas about characters, or whatever other ideas you may have! There are many cases where you have some great ideas, but don’t have the time to be able to put those into a game. By sharing your ideas, there’s the chance that someone else may be inspired and build on them. 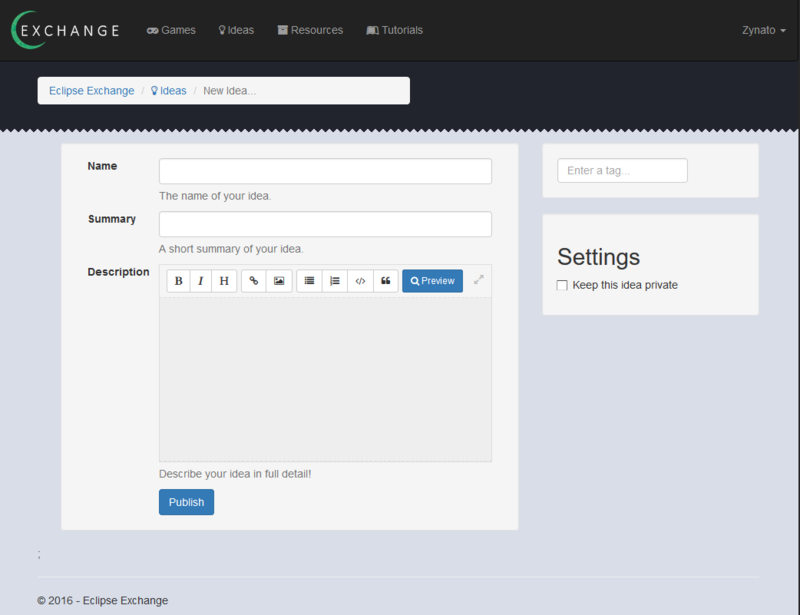 When you first login to the exchange, you’ll go to the Ideas section. This is where you can see a listing of all posted ideas. 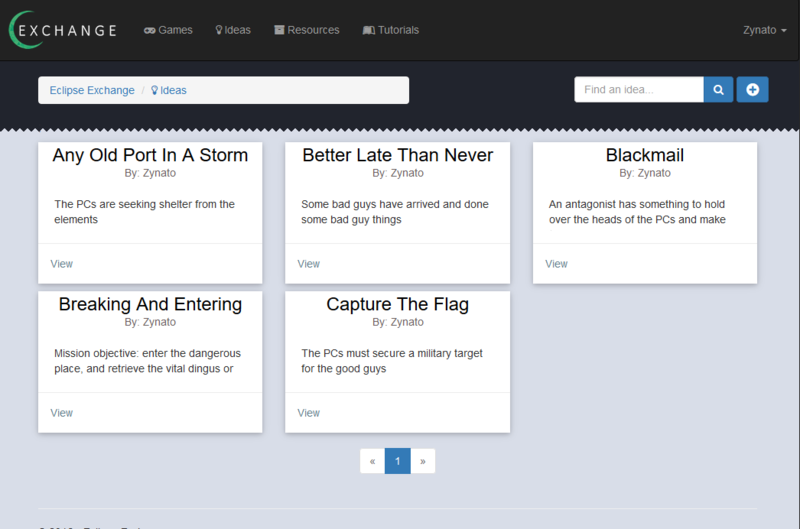 You’ll be able to search and filter ideas from here, as well as publish your own ideas. 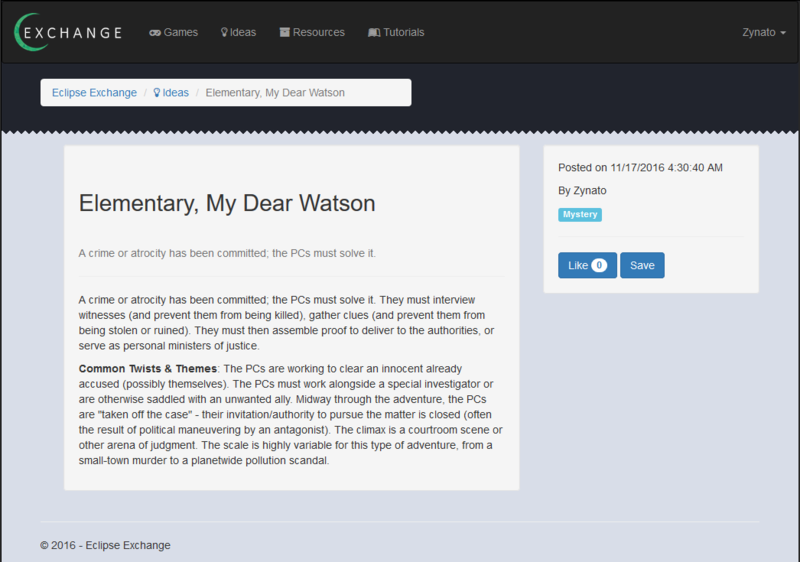 Now, let’s say you wanted to publish a new idea… click on the + button in the top-right corner. You’ll then be taken to the New Idea page. You can fill out the information about your idea. The editor for the description field supports Markdown for formatting. And when you’re ready, you can preview to make sure everything looks good. Finally, click Publish and your idea is saved! That’s everything for ideas for now. This is just the beginning, and I would love to hear your feedback and feature requests for this! 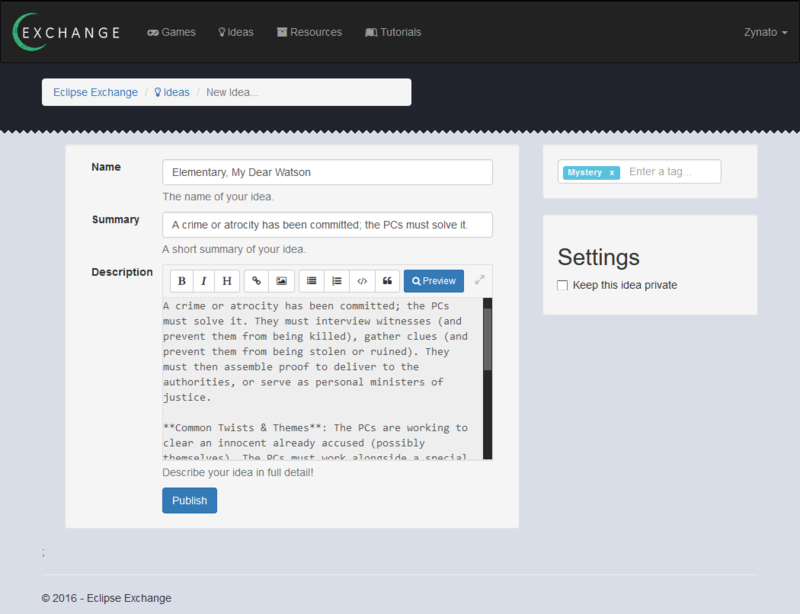 As a reminder: the beta registration form for the Eclipse Exchange is now available at https://exchange.eclipseorigins.com. Registration will be open until a week before the launch date, and more updates on this project will be posted in this board. Might be cool to see a count of how many people have viewed the idea. Is the OP allowed to edit or delete the post? Maybe comments for the ideas? Not sure if this would be in the exchange or in the forums, but it would help ideas become even better. View count is a nice touch, it’ll be added. Yes, OP will be allowed to edit and delete. Just haven’t finished that yet. For comments, I’m waiting to develop this a bit more before committing to how it should be done. I want to strike a good balance between the exchange and the forums. 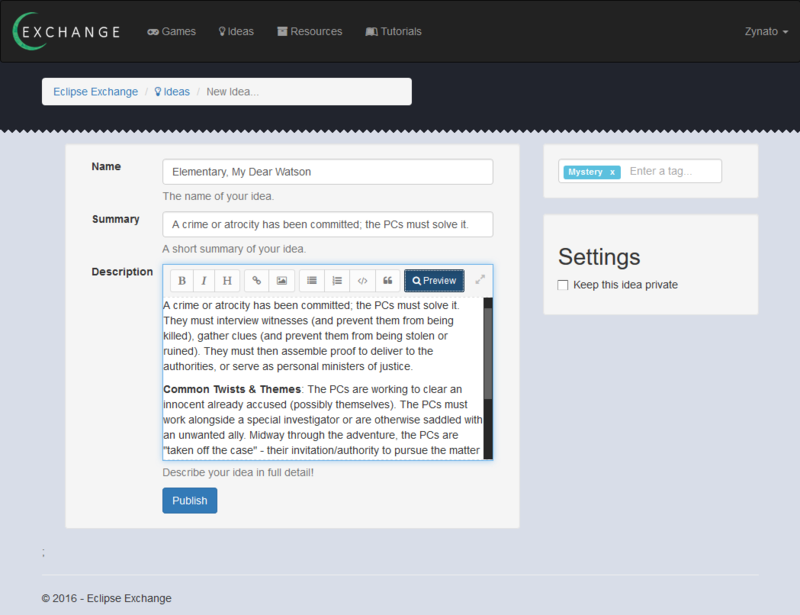 There will be some way to provide feedback for the posted ideas in the final release, though. Maybe show the top 3 comments with the most likes or something and if you want to see the rest or make a comment it sends you to the forum page for it?